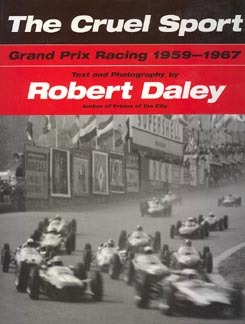 A reprint of the 1963 classic book on Grand Prix racing. During the 1950s and into the 1960s, Grand Prix racing was done not on race tracks but the races were ran on the streets and roads in cities and the countrysides. Trees, houses, curbs, man hole covers were objects that had to be avoided. There were no big purses nor were advertising decals on the race cars. Everyone raced for the fun of it. The risks were high as many crashes happened and fatalies also were many.